Not many safety record signs allow you to track man hours worked since a lost time accident. This sign will count every hour, minute, or second by a user defined increment. Tomorrow: Your reward for working safely today. When workers are focused on safety they identify and implement better and safer ways to do the same task. 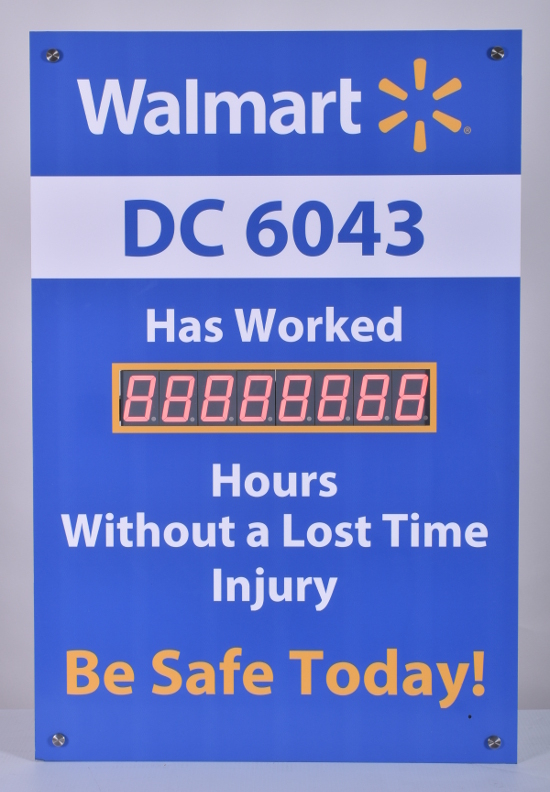 While there are many different ways to keep your employees engaged in continuous safety improvement one of the easiest to implement is increased awareness through signage. More visually enticing signs are more likely to draw attention to not only the signs, but the message you want to instill. This sign provides a slightly different take on the typical accident sign by counting hours without an accident instead of days. This counter module has eight 2.3" digits and can be configured to count up every hour by a predetermined number. You can set the count increment to one in order to track the number of hours (the counter will advance 24 each day), or you can use this display to count man hours worked by incrementing with a number greater than one. Let’s say you have a six day work week, and 50 employees and you want to count man hours worked without an accident. With this sign you will simply set the count increment to 50, the start count day to Monday and the stop count day to Saturday. The counter will advance by 50 each hour on Monday through Saturday and won't count at all on Sunday. 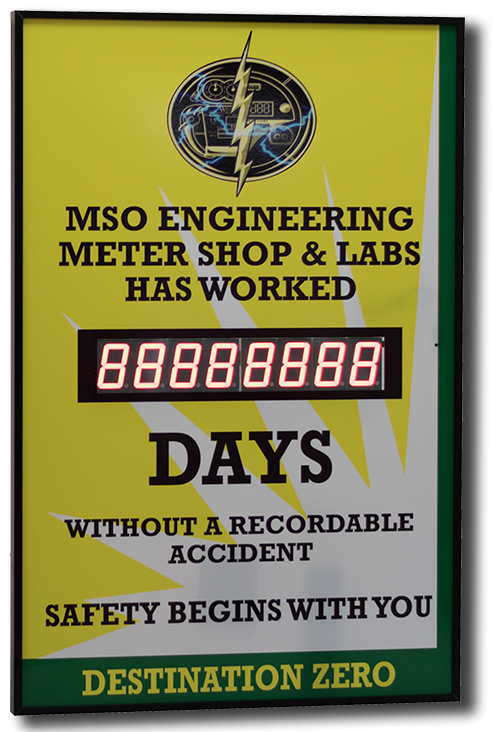 Hour tracking safety record signs are available in any of our standard sizes and as always you can customize the sign graphics and text with our online designer.